Will Tasmanian agents snag an award or two at tonight’s national Real Estate Business showcase in Sydney? A dozen Tasmanian real estate industry professionals will represent the state tonight against the best in the nation at the Real Estate Business Awards. The annual black-tie event will be held at The Star in Sydney. 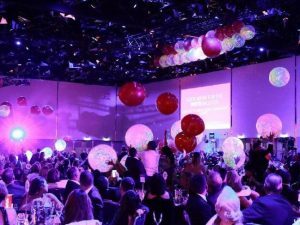 Now in its sixth year, the REB Awards reflects the “tenacity and resilience” of Australia’s leading real estate operators and networks. Tasmanian nominees include First National Real Estate Kingston managing director Helen Lehane in the Sales Campaign of the Year category; Natalie Downton for Principal of the Year; Harcourts Tasmania for Digital Presence and Russell Yaxley from Downton Property in the Newcomer of the Year category. Key2 Property, Parry Property and Sims Property are finalists in the Boutique independent of the Year (three offices or less) award. Key2 and Sims are also up for the Regional Sales Office of the Year prize. Rounding out the nominees are Tameka Smith from Key2 and Natalie Yaxley from Downton who are both nominated for the Regional Property Manager award while Yellow Brick Road is a finalist in the Residential Mortgage Broker category. REB editor Tim Neary said the awards were the most sought-after business awards in the industry that recognise the best operators across several categories. He said that the judging process to shortlist the finalists and decide on the eventual winners was transparent and measurable. “It includes the insights and opinions of a team of judges, ensuring the awards are fair, accurate and unbiased,” Mr Neary said. Mr Neary said the judging was a multi-step process. All submissions are delivered to a panel of respected industry professionals and business leaders for assessment. The judges will score each submission across a range of criteria, with each set of criteria applicable to an awards category. Last year Ms Downton won the REB Sales Agent of the Year award in the Metropolitan category. In 2016, the Business Development Manager — Property Management national award was won by Claudine Church from Launceston’s @Home Property Management Solutions.